ALLOW US INTRODUCE OURSELVES . . .
Win-Tron Electronics, headquartered in Manasquan, New Jersey, is a 100% wholesale only marine electronics distributor serving the needs of marine boat dealers, commercial marine companies, OEMs, retailer outlets and online businesses by supplying the best marine parts and equipment at discounted prices. 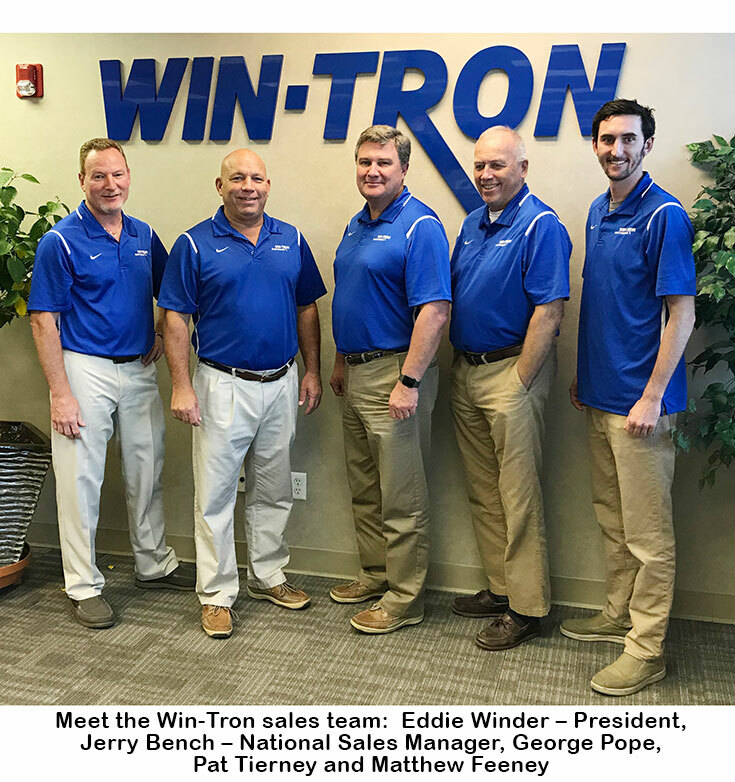 For over 56 years, Win-Tron Electronics has been a leader in the wholesale marine electronics business. We have now grown to serve over 14,000 marine dealerships in 50 states, 5 territories, and more than 30 countries on six continents. The number of satisfied dealers continues to grow every year. Our growth and success are based on one simple formula: Provide our customers with the lowest possible price without sacrificing customer service. That is why we strive to provide our dealer base with knowledgeable, experience sales team and the most efficient dealer-only website in the industry. 1 — FRIENDLY, KNOWLEDGEABLE AND EXPERIENCED SALES STAFF — who are only a phone call or email away! 2 — Easy-to-use DEALER-ONLY WEBSITE with live inventory and pricing, easy-order, easy-ship, easy-track and account management features. CLICK HERE TO WATCH OUR WEBSITE TUTORIAL VIDEOS. 3 — The LARGEST INVENTORY in the business – second to none – and almost all orders ship same day. CLICK HERE FOR OUR "SHIP YOUR ENTIRE ORDER FOR ONLY $9.99, WHEN YOU ORDER ONLINE" FLAT-RATE SHIPPING PROGRAM. 4 — Our WEEKLY SALES BLAST email means EXCLUSIVE product offers, specials and important and timely product information. CLICK HERE TO SIGN UP FOR A WEEKLY SALES BLAST! 5 — We host the only VIRTUAL ONLINE DEALER SHOW in the Industry, featuring product giveaways, cash- back offers, special shipping and terms and much more. All the major manufacturers participate. All from the convenient of your store or office. Look for it each fall and mark your calendar! CLICK HERE TO SEE LAST YEAR'S SHOW SOUNDINGS TRADEONLY PRINT ADVERTISEMENT. 6 — OPEN YOUR OWN ONLINE STORE, Made Easy! Our E-COMMERCE SOLUTION is a turn-key online store featuring our entire inventory of over 6000 products. Perfect for electronics in- stalling businesses, full service marinas & boatyards and motor & boat dealers. CLICK HERE TO SEE A DEMO STORE! 7 — Our ANNUAL CATALOG is filled with product information and represents over 60 of the industry’s leading manu- factures. CLICK HERE TO REQUEST OUR CATALOG. 8 — INFORMATION PACKED WEBSITE — View current rebates, contact manufacturers or view product videos. SEE CURRENT RETAIL REBATES or Our EXTENSIVE LINE CARD OF MANUFACTURERS. 9 — Monthly or seasonal SALES FLYERS featuring current deals, sales, special purchases and exclusive offers. 10 — TARGETED DEALER SUPPORT — If you have a special sales or promotional event planned, we’ll jump in and help in every way possible. Just ask! PLEASE CLICK HERE FOR SAMPLES OF OUR DEALER-PARTNER ADVERTISING AND PROMOTIONAL MATERIAL. Want to get started? Click here to request a dealer application.